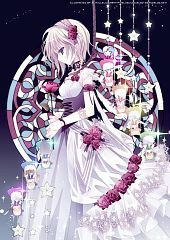 2,145 anime images in gallery. 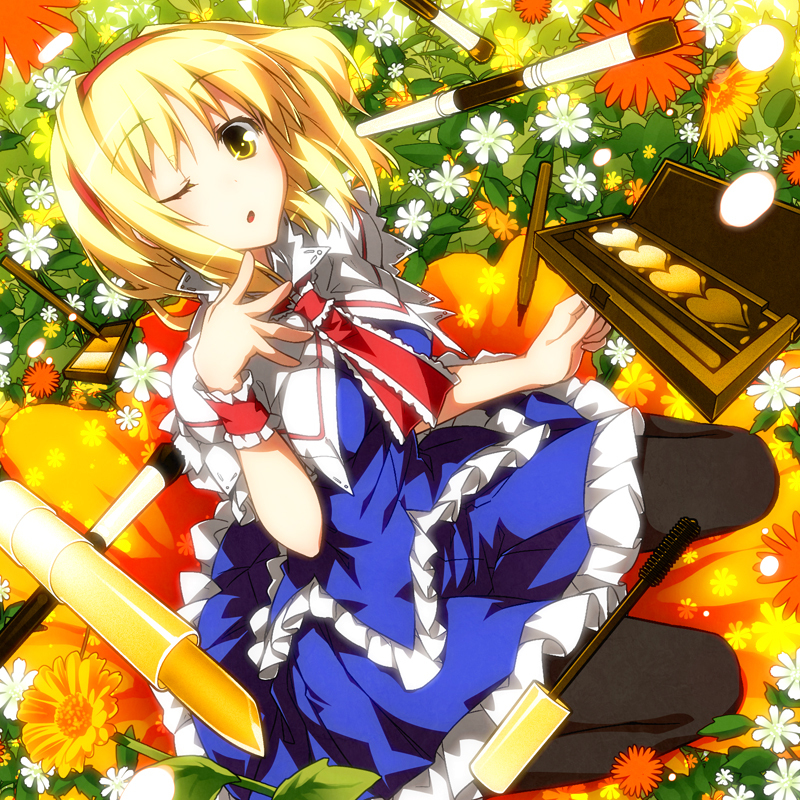 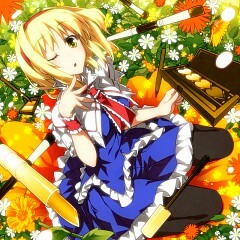 Tagged under Touhou, Tomatsu Haruka, Alice and Perfect Cherry Blossom. 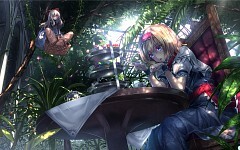 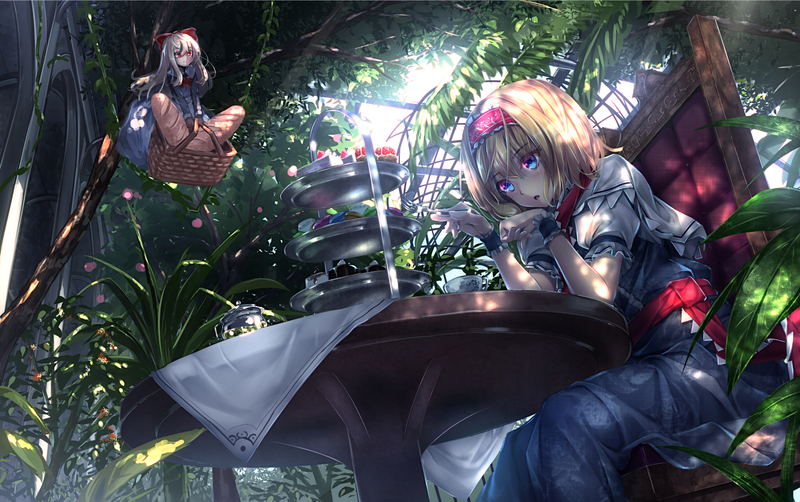 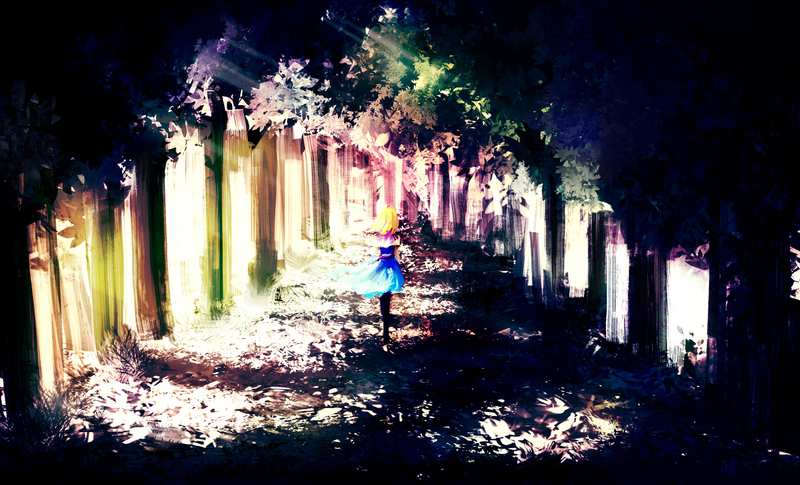 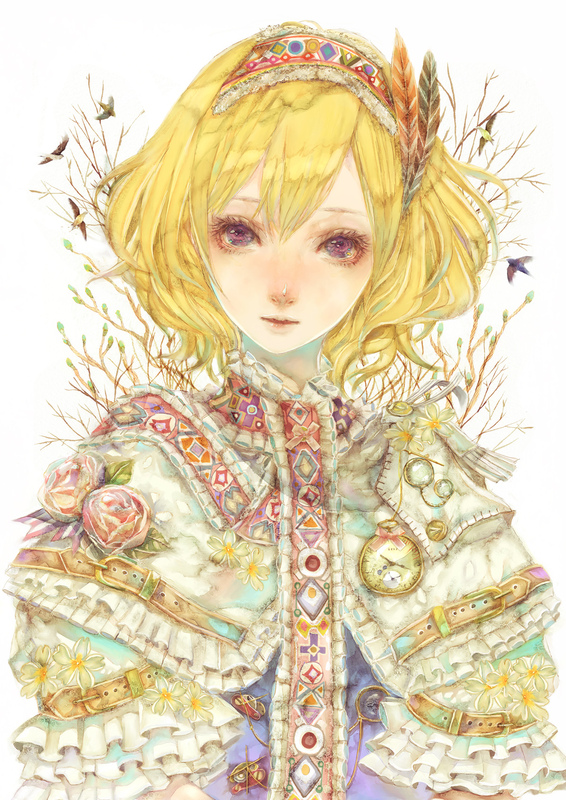 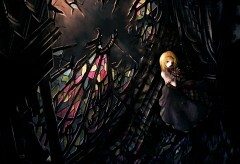 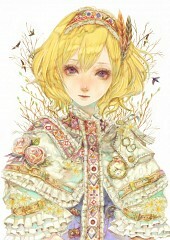 Alice is one of only a few people known to live within the Forest of Magic. 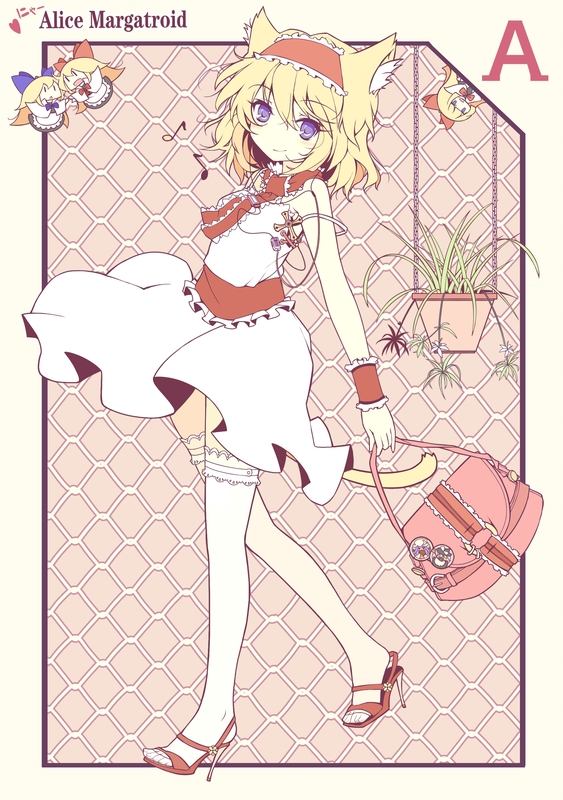 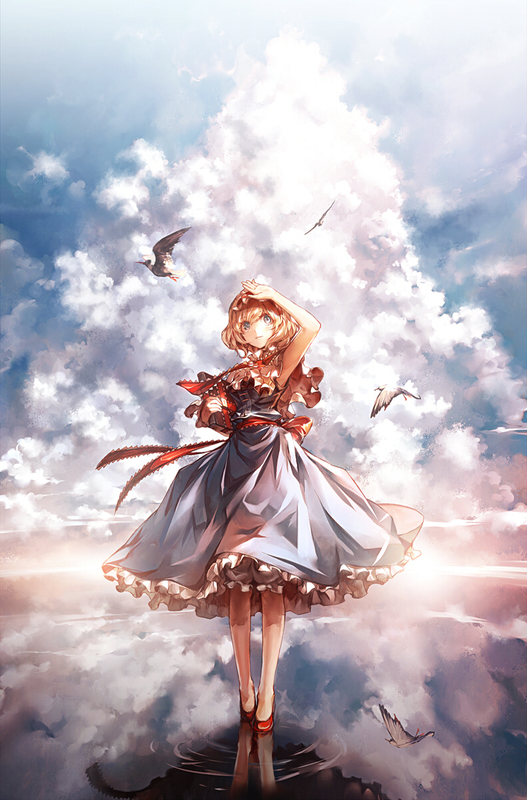 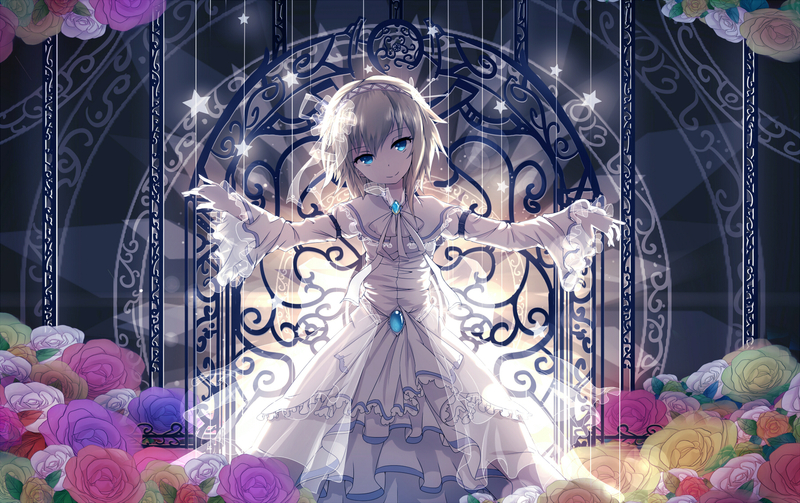 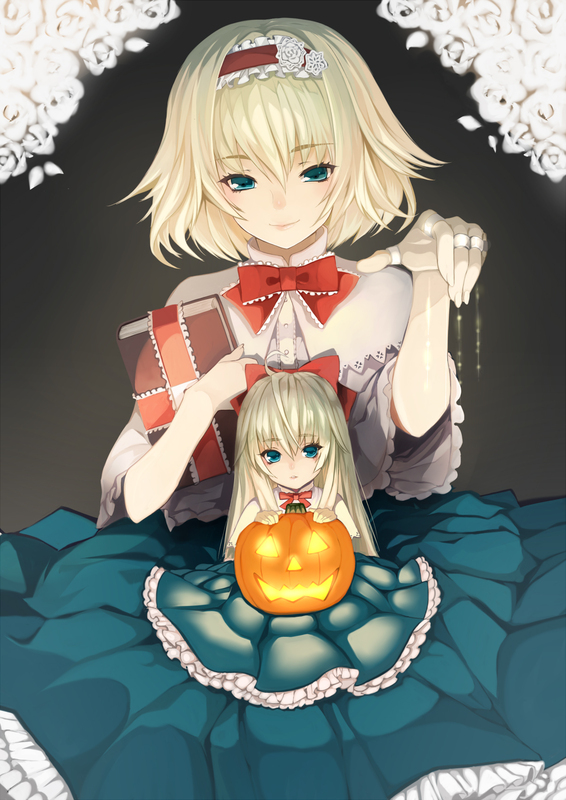 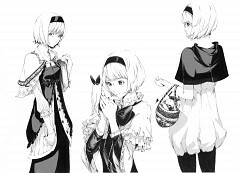 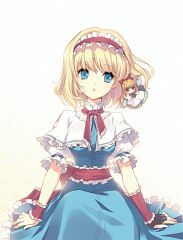 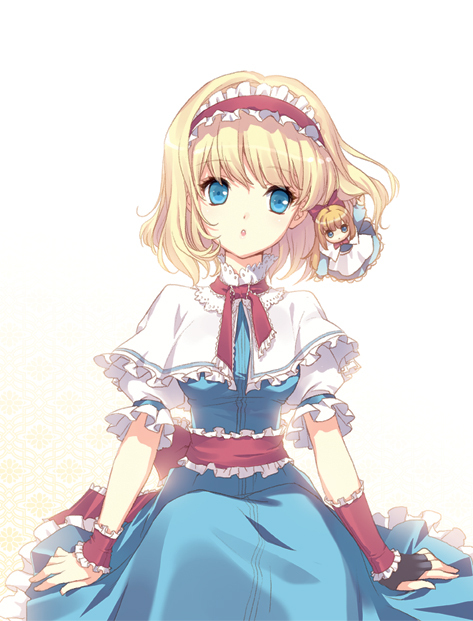 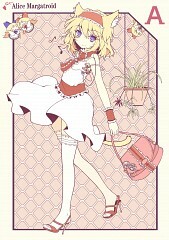 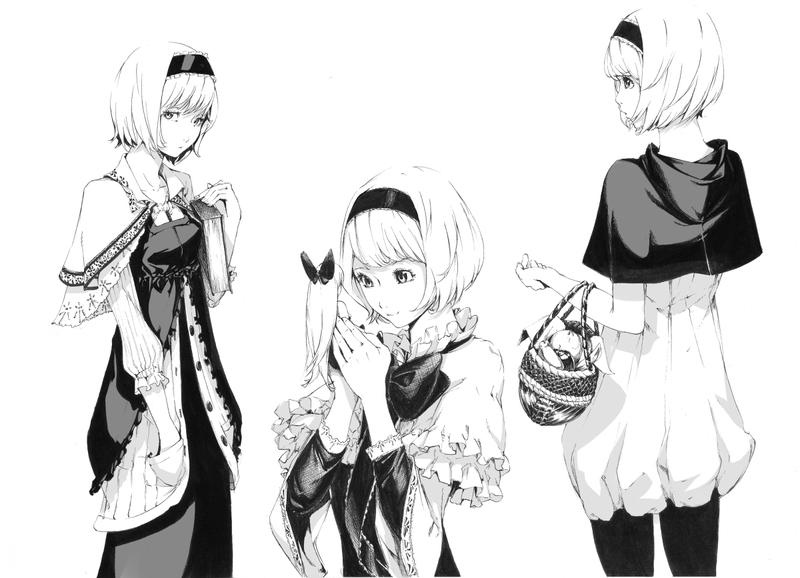 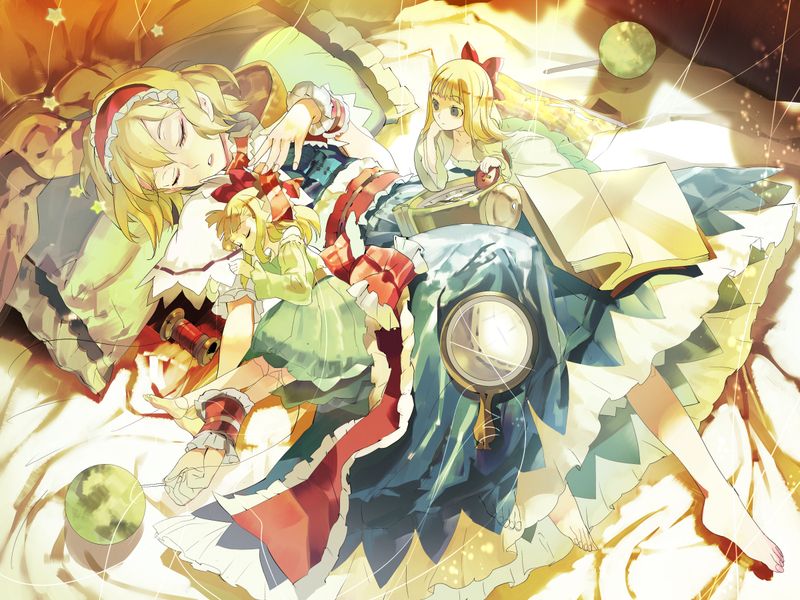 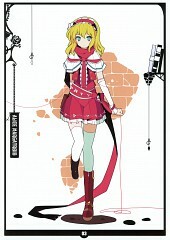 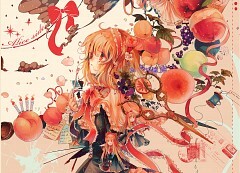 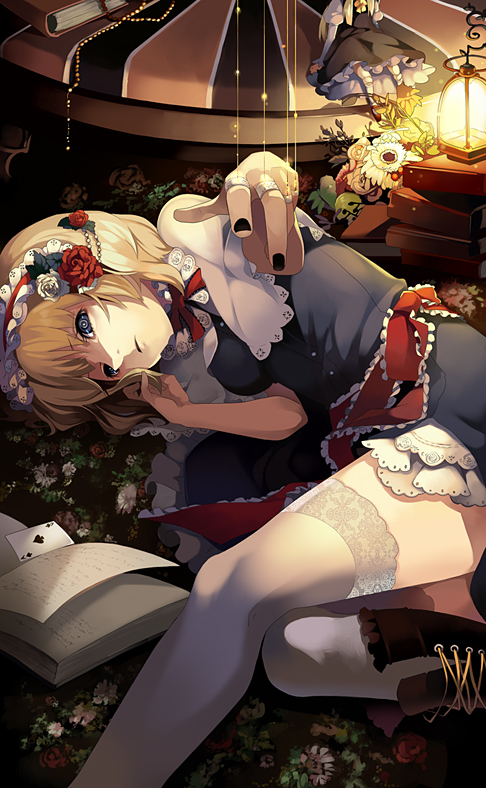 She's a magician known primarily for her skillful use of dolls as well as being a loner. 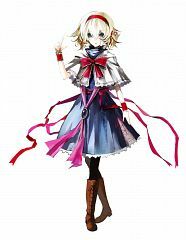 She gets in many fights with Marisa but they're actually kind of close, sharing many of the same interests and even teaming up during Imperishable Night. 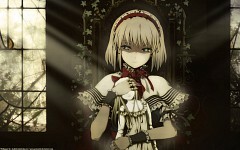 It's like a love/hate relationship really. 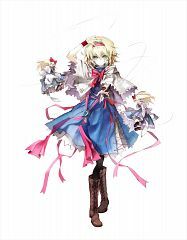 In Immaterial and Missing Power the vast majority of her attacks involved dolls in one way or another, either attacking for her or being used as explosives. 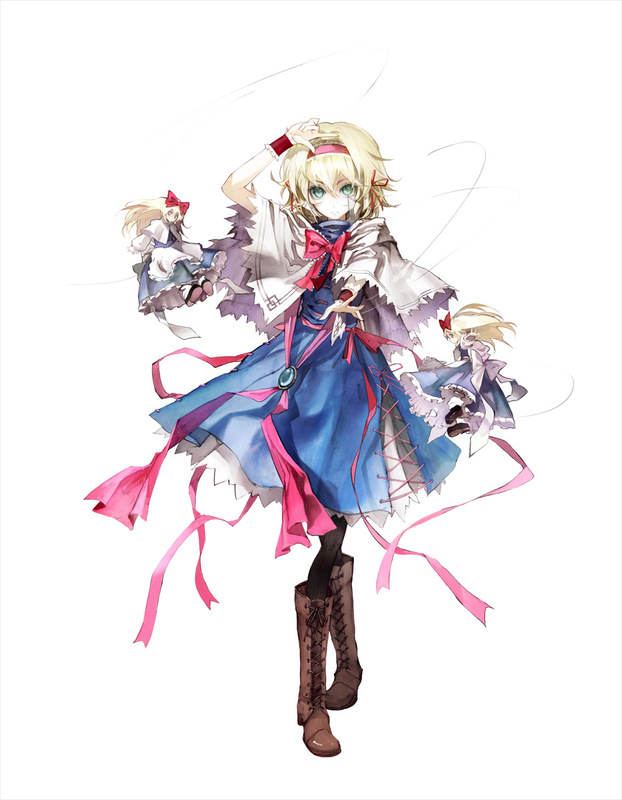 She is a doll specialist, but dolls are more like a hobby in comparison to her full power. 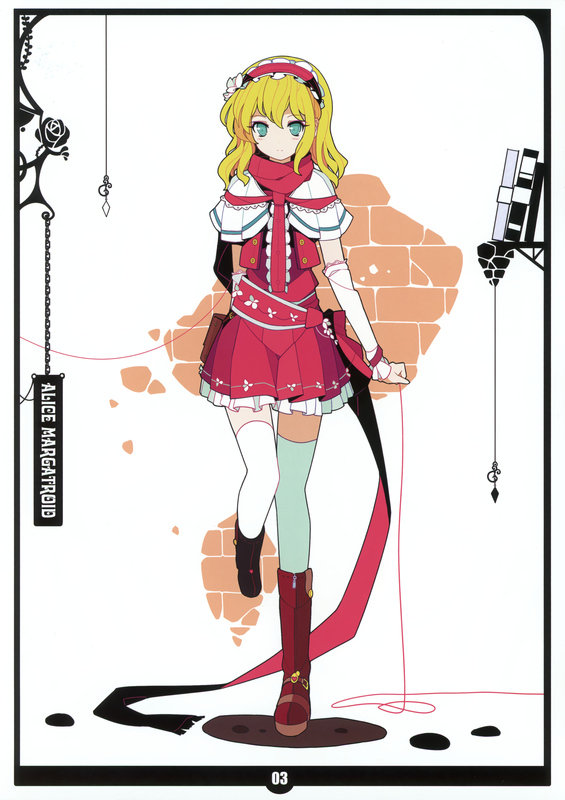 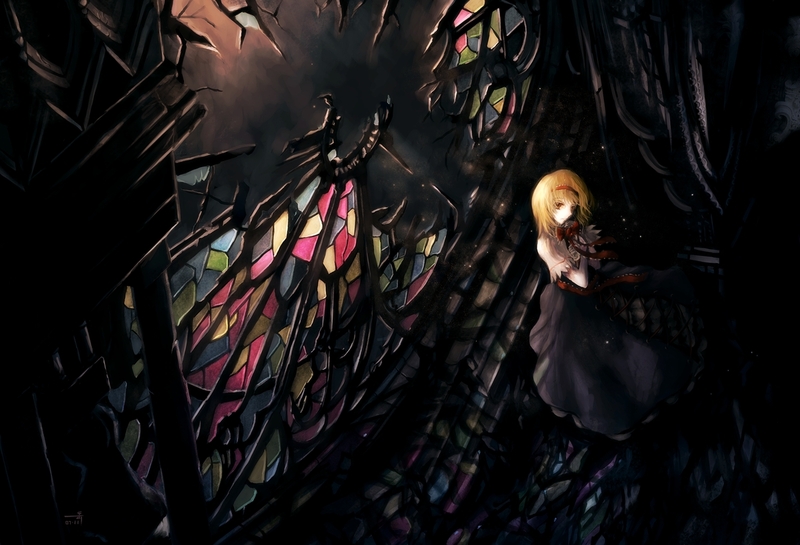 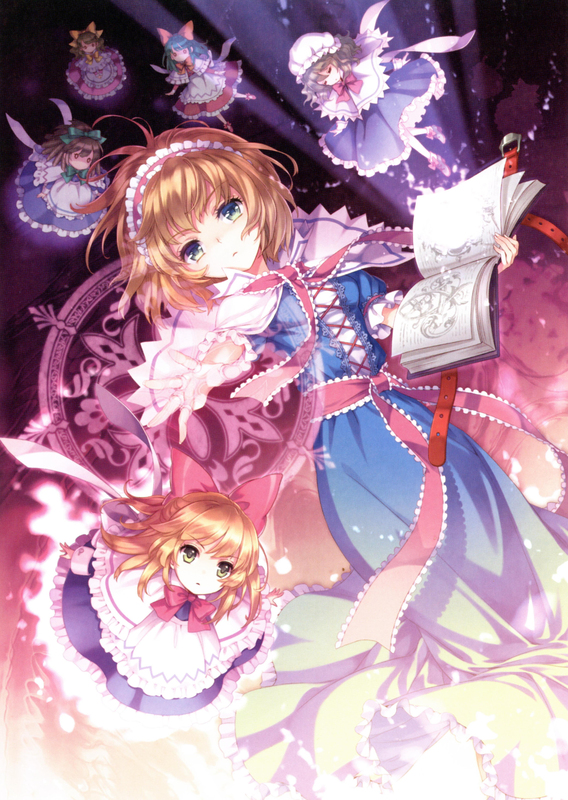 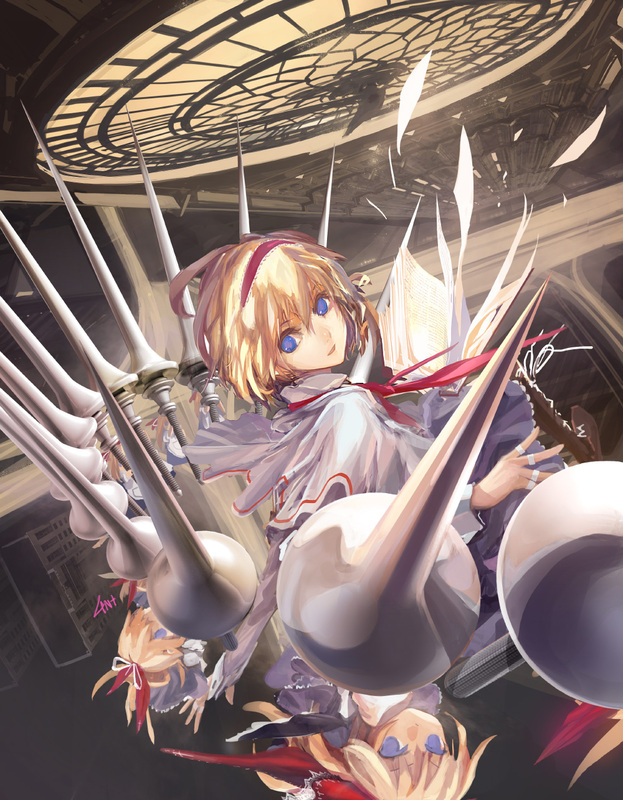 Alice is always seen with a locked grimoire in her hands, which is thought to be the same "Grimoire of Alice" that she fought the protagonist with as the Mystic Square Extra Boss. 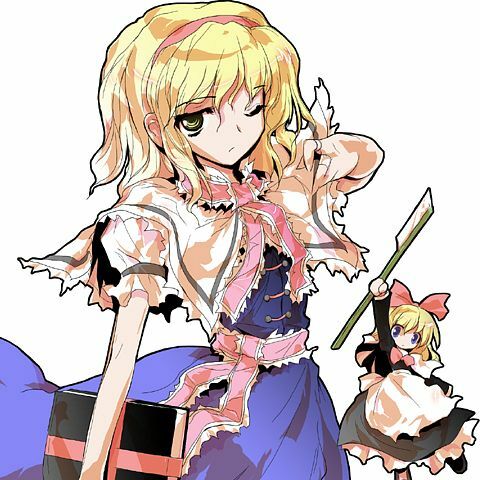 Because Alice, unlike Marisa, is much more interested in strategy and hates having to win a fight from sheer overwhelming power, she always holds back even if it means losing. 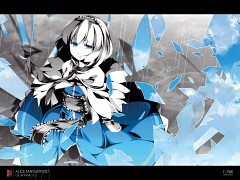 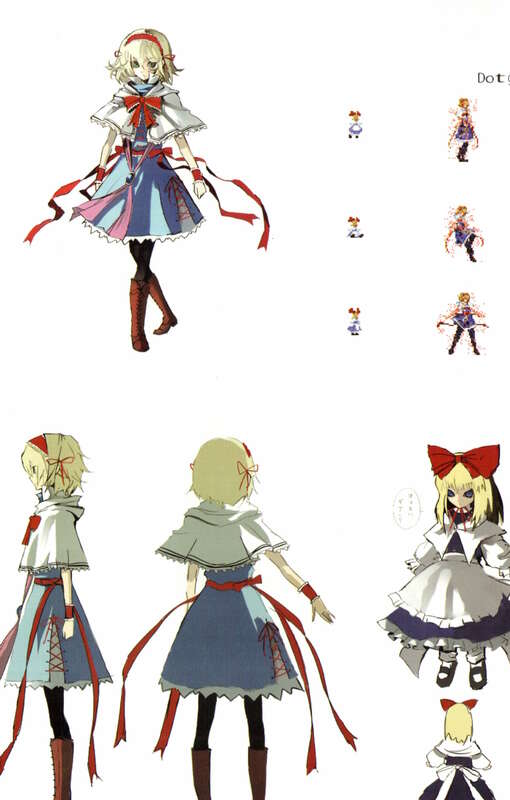 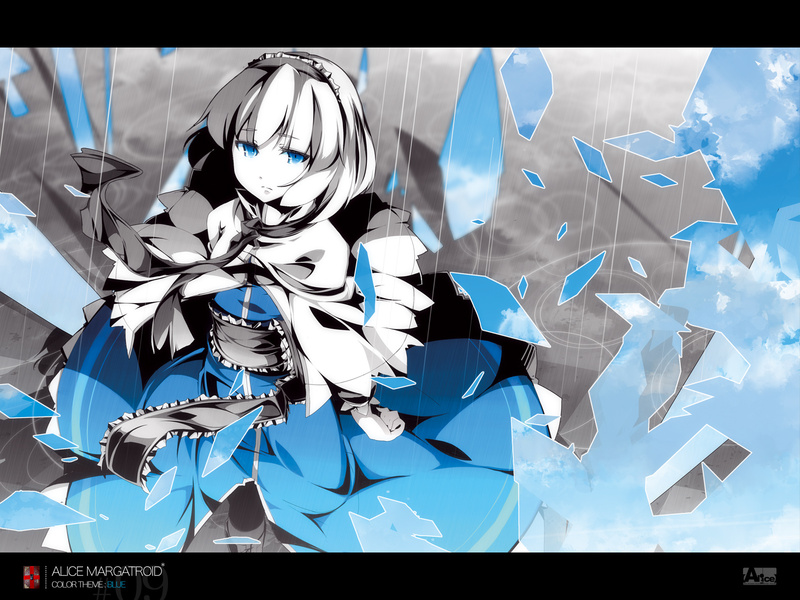 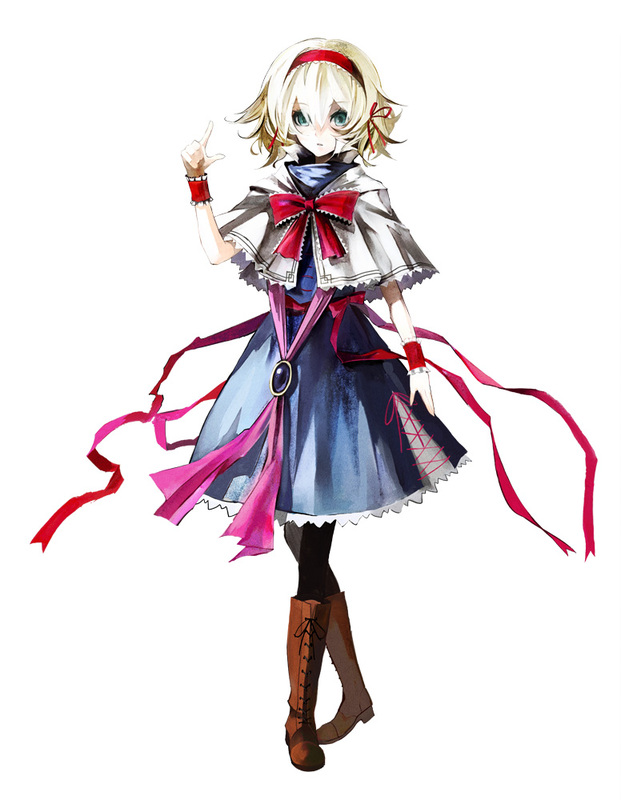 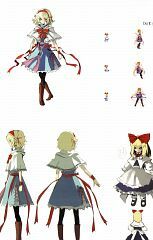 In Touhou Hisoutensoku she creates a giant doll and tests it in battle against Cirno at the end of the latter's Story Mode.